This guest post by Teresa Schmedding continues a series on advice for new top editors in Digital First Media newsrooms. I remember, way back in the dark ages, when I was promoted from copy editor to an “editor” management position, I knew exactly what I didn’t want to be. I didn’t want to be anything like the bad bosses I’d had in the past. I didn’t want to be a boss that blamed his/her subordinates for his/her mistakes. I didn’t want to be a boss that settled for okay instead of amazing. I didn’t want to be a boss that didn’t listen. I didn’t want to be a boss that sugar-coated the facts. I didn’t want to be aloof and unapproachable. I didn’t want to be autocratic, but I also didn’t want to be laissez-faire. But what qualities did I want to have? Open door. Straight shooter. Honest. High standards. Fair. No one was more shocked than I when I failed. The point of this blog is more than self-flagellation. Steve Buttry, Digital Transformation editor for Digital First Media and the Journal Register Company, has been running a series of blogs with advice for new editors on his Buttry Diary website. He asked me to contribute a post for new editors, and I chose to write about leadership. I fell into two traps that new managers and editors often do. First, I focused on what I was the most comfortable with: journalism tasks. I could re-edit, rewrite, re-report stories. I could redesign pages. I could tweak headlines. What I didn’t do was be a “coach” who helped others improve their work instead of autocratically doing it for them. My second mistake was thinking that leadership was all about me and my style. In reality, it has everything to do with the team you’re leading. Much like your writing style needs to change from a feature story to a crime report, good leaders tailor their message to fit the person he or she is trying to reach. There are several major leadership styles. Authoritarian, charismatic, innovative, participative and delegative are just a few. Good leaders pull from all these styles to accomplish different tasks or lead different groups. Some just need a nudge. Others need a push with a bulldozer. Some can follow direction in an email. Others need one-on-one. Some need encouragement and hand-holding. Others just need you to open the door and get out of the way. Management is a learned skill. Invest the time in teaching yourself. Read some books (I like “Who Moved My Cheese“). Follow some blogs (Jill Geisler at Poynter is among my favorites.) Get some training (check out Dale Carnegie for some cheap, one-hour sessions). Seriously consider taking the Myers-Briggs type indicator test. Read up on listening preferences. The age-old question is whether good leaders are born or made. I’d argue that the truth lies in changing the conjunction: Good leaders are born, but great leaders are made. Thanks to Teresa, who is deputy managing editor/digital operations at the Daily Herald in suburban Chicago and is president or the American Copy Editors Society, for this guest post. As ACES president, Teresa led the Summit to Fight Plagiarism and Fabrication. 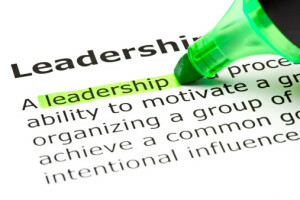 I welcome guest posts on other leadership topics. If you’re another Digital First editor (or a leader or former leader in another organization) and would like to propose a guest post as part of the series, email me at sbuttry (at) digitalfirstmedia (dot) com and we’ll discuss. Sue Burzynski Bullard provided such a post on organizational tools. Nancy March wrote about balancing work and personal life. Dan Rowinski wrote about mobile opportunities. I’m not interested in a post of general leadership tips. I’d rather have a post on a particular leadership topic. Feel free to suggest a post that might address a topic I’ve already covered, but from a different perspective. I welcome posts that disagree with my advice.